LOL.....I am so proud of myself! Truly I am. 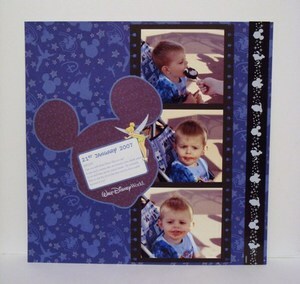 For those of you that are a regular visitor to my blog, will know that I don't scrapbook. I have done some pages in the past (a long time ago) with the latest being the 6x6 swap I was involved in a few weeks ago. Oh my, I haven't posted about that swap yet (naughty me!). Will do. What do you think???? I suddenly had the urge to scrapbook last week when I was going over photos of when Emily was born and came across this one. I just stared at it for a long time, looking at Oliver's beautiful smile. I then thought, I want to scrapbook this photo and straight away came up with "precious moment" as my title. To me this is a very precious moment.....Oliver showing his love through his smile while holding his brand new sister in his arms. I've use the big flower in the pretties kit with the clear rhinestone. I sponged the edges with my dauber using the Rich Razzleberry ink. I again used the flowers from the Pretties kit and coloured 3 of them with the dauber and Rich Razzleberry ink. To get a more intense colour, you can press the flowers straight onto the ink pad or use your re-inker to colour the flowers. Another way is to use your aqua painter as well. So many different techniques. It all depends on the colour you want. You also must know that I like a bit of 'bling'! LOL. So, naturally there is some glitter on the page too. I used my 2-way glue pen on the white swirly bits of the dsp and went to town!! ha ha. I first had the title going horizontally across the page, then thought it would look better going around the circles. I have had poor Oliver home from school for three days now with a viral infection. I'm not feeling so crash hot myself. Quiet time and bed is where you find me over the weekend!! Oh yes, it is a scrapbook page!! WOW! My friend Nicole set up a group on Facebook to do scrapbook pages. Nicole asked her friends who would be interested in joining and I straight away put my hand up. I love making cards but I also wanted to start scrapbooking all the photos we have of Oliver - ok, so maybe not ALLof them (there are too many to count!) but also of our wedding and my family. 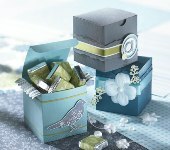 This group would be a great opportunity for me to learn more about scrapbooking as well. If you have been following my blog, you will know that I am not a scrapper at all. I think I have only ever done 2 pages HERE & HERE. This month see's the start of the group with the challenges being monthly - be that a sketch, theme or colour. October's challenge is a sketch. Yes I know that there are supposed to be 4 small photos along the bottom but I couldn't print them any smaller on the pc without needing a magnifying glass to see them! LOL So, I only have 3. I don't think the girls in the group will mind. I thought I would start on my wedding photos - yes that is me (back when I was blonde). I wanted todo a page with my two bridesmaids and to keep with 'the girls' theme, I thought having the main photo with my mum was a great idea. I challenge you to give it a go! Upload your page to your blog or a forum that is accessible to all and link your page in the comments. Simple. As I said in my previous post, Kari set the challenges this month for our cyberstamp night yesterday. The next challenge I completed was the sketch challenge - this was #3 challenge! #2 is still a little daunting! You'll see why when I tell you the colours! Ballet Blue, Soft Sky, Not Quite navy, Pink Passion, & Really Rust!! OMG. Anyway, the sketch Kari chose was from the lovely Lauren Meader. 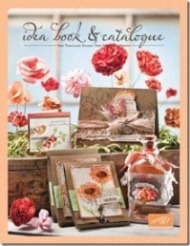 We could make a card or scrapbook page - look what I chose!! Yes, I made a scrapbook page. Oliver loves his Pooh Bear & Tigger. The yellow 'Disney' paper came with the kit I bought while at Disney World so I wanted to match a photo with it and Pooh was the closest character I could get. I used Only Orange cardstock along with Real Red. This could be the first time I have used Only Orange. I look at this photo of Oliver and see how he has changed. His little 'baby' face is growing up but he still pulls that same face - I hope that never goes away. Stamps: One of A Kind. Inks: Real Red, Only Orange. Paper: Only Orange, Real Red, Whisper White. Accessories:Orange Rhinestone Brads, Dazzling Diamonds, Boho Blossom Punch. Oh My! A Scrapbook Page! OK, so how did I do?? Any tips you want to give me?? So yes, I have finished my first ever scrapbook page!! I am proud of myself for doing it. LOL Anyway, this is my sweet (but not today!) little boy, Oliver. The photos are on a film strip (black cardstock) but I don't know if this comes out clear enough for you to see. 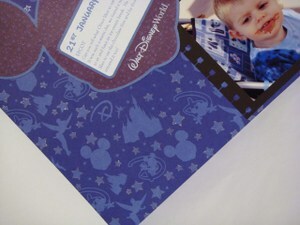 You should be able to see the filmstrip I made with the spiral punch. 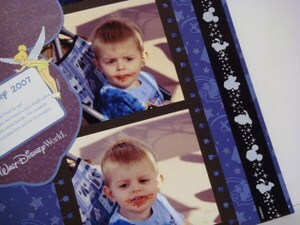 I cut the cardstock 3/8" wider on each side and then used the punch before adhering the photos. I also used my glitter gel pen on the stars and on Tinkerbell's wings. Everything you see on this page (apart from the glitter and photos) I bought while at Disney World. It was a scrapbook kit which says you can make 6-8 pages. I also bought a lovely album so I'd better get on with making some more pages!! I must say we had an absolute ball there and to see Oliver's face light up when he saw any of the Disney characters was even better. We have a few of those moments on camera, so I will have to do those one's next because those photos are priceless.